The common reason why people buy mints, gum, or breath sprays is to avoid bad breath. Almost all can agree that the condition is ruinous to the overall wellness. It can pull down one’s confidence and compromise their social interactions. The scientific terms for bad breath are oral malodor, fetor oris, fetor ex-ore, and halitosis. However, among all the names mentioned, the latter is the most frequently used. To help people understand this type of oral issue more, we at Arbor Dental compiled some of the FAQs about bad breath and answered them. 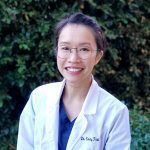 How prevalent is chronic bad breath? Halitosis affects people from all over the globe, specifically 25 to 50 percent of both middle-aged and older adults. Many factors can result in halitosis. People can have smelly breath by observing an unhealthy lifestyle like smoking or alcohol abuse. Foods can even contribute to the unpleasant smell in the mouth – for instance, the strong scent of onions and garlic which a person may find challenging to counter sometimes. The most-known culprit of bad breath, however, is bacteria. The human mouth consists of millions of harmful and helpful microorganisms. They reside on plaque, tongue, and even in the gums. If people fail to eliminate them with good oral hygiene, these particles may release foul odors. Thankfully, there is! Here at Arbor Dental, we help people who suffer from halitosis by offering effective treatment for the condition. Depending on the root of the problem, our dentist will craft a treatment plan. Our dental hygienist will perform a deep cleaning which includes the scraping of the patient’s tongue if the cause is bacteria. Afterward, we will recommend a mouthwash for maintenance. What are the ways to prevent the occurrence of bad breath? It is not that hard to safeguard the mouth against bad breath. The best weapons are good oral hygiene and regular dental visits. Brush, floss, rinse every day and do not forget to see us at Arbor Dental for professional teeth cleanings twice a year. 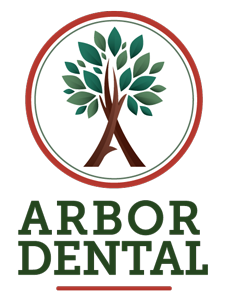 If you want to own a healthy, and fresh breath, Arbor Dental is here for you! Check out our Halitosis Treatment in Brentwood, CA for the treatment of bad breath. You can also visit us at 6471 Lone Tree Way, Suite 301 Brentwood, CA 94513.